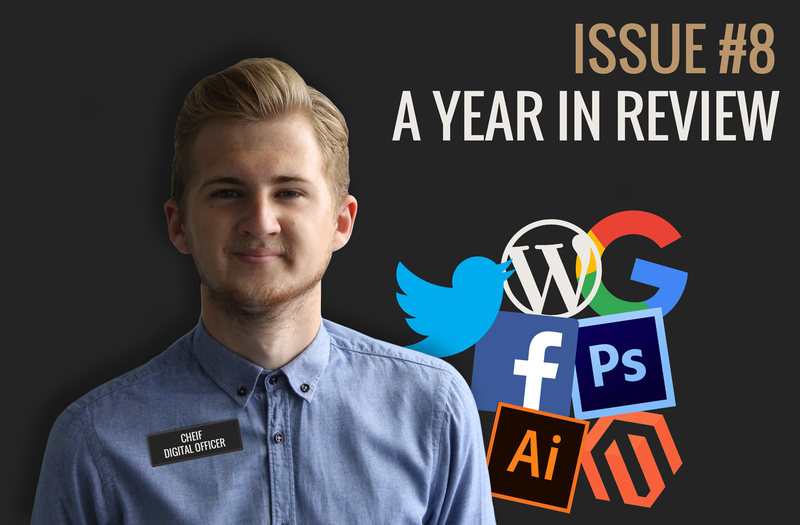 As we plunge deeper into 2017, it seems we’ve now reached a stage where social media marketing campaigns are at their all time best and month after month the bar is constantly being raised. 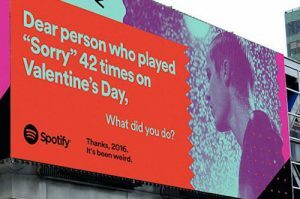 After mulling over many a social campaign, I decided to single out Spotify’s social media and outdoor advertising campaign for a few key reasons. One being that I’m a Spotify user, another reason is that it had humour at the heart of it, and the final reason was how relevant their use of data was. If you didn’t see it, it’s the one where they used their listener data to poke fun at some of their users unusual playlist choices. 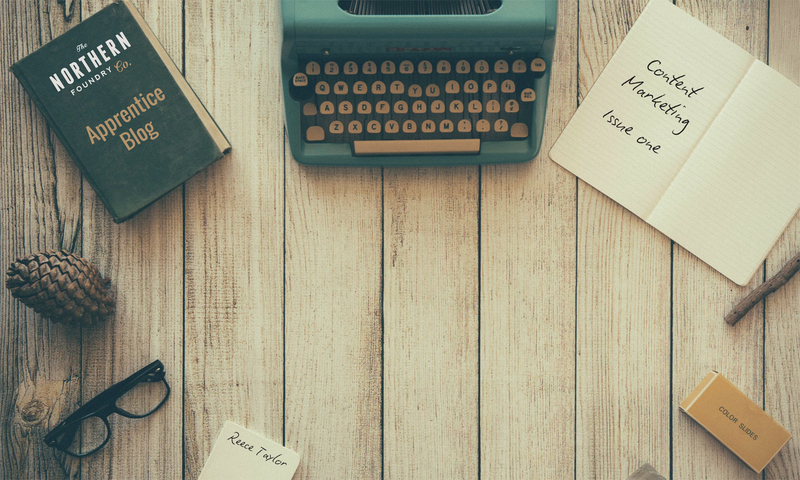 When it comes to looking for new ways to catch a consumer’s attention, original ideas can be hard to come by, especially at a time when more and more companies are continuously increasing their spend on advertising. Now, of course, pouring more money into advertising doesn’t necessarily mean more ideas, but bigger budgets allow creatives to plan bigger projects and push the boundaries of what is expected from an advert. Over time, companies have been forced to become more experimental with their ads, trying to find a new angle that will pique interest across a huge demographic. But consumers can be hard to please & it doesn’t always go to plan. 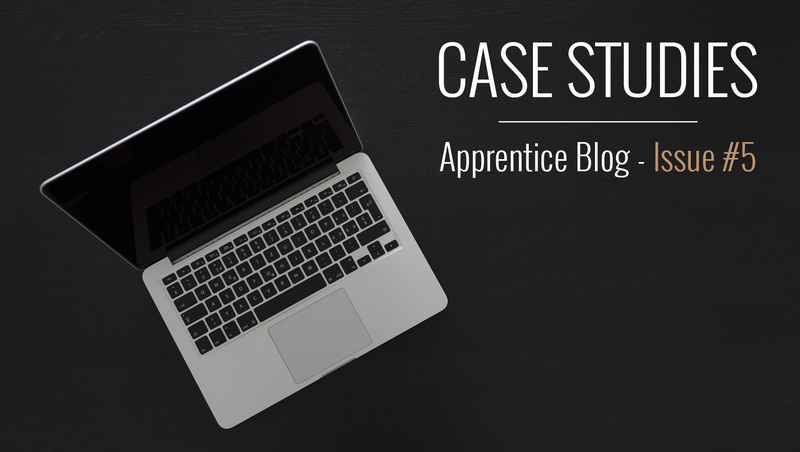 Targeting demographics and key audiences is now high on every company’s agenda. Using your data to better understand an audience and target them more specifically is the goal. Spotify has the ability to record listener data and it came about with the introduction of ‘Spotify.me’, an extension of Spotify that allows the popular music streaming service to record all of your listening habits (you can run but you can’t hide). Many users thought of this addition as pointless, which is understandable because nobody needs to be told how many times a week they listen to ‘Wrecking Ball’ by Miley Cyrus. Nobody wants to face that reality. Despite users having access to the app – it isn’t meant for their benefit. Spotify have been using the data to create content tailored specifically to the listener but now it seems they’ve decided to get more creative with their insight. 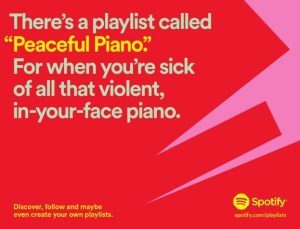 Spotify are promoting their service through various social media and advertisements by putting a comedic twist on people’s playlist names. Spotify have sprawled jokes based around playlist names such as “Sorry I lost your cat” and “root canal songs” all over social media and billboards, in an attempt to captivate their audience on a more personal level. Some people think this campaign is the best thing since sliced bread, yet others, naturally, are offended by it, claiming it “turns misery into advertising fodder”. However, noticeably, the ads don’t allude to who the user is, so Spotify have managed to dodge any kind of ASA (Advertising Standards Authority) ban. Spotify 1-0 Haters. 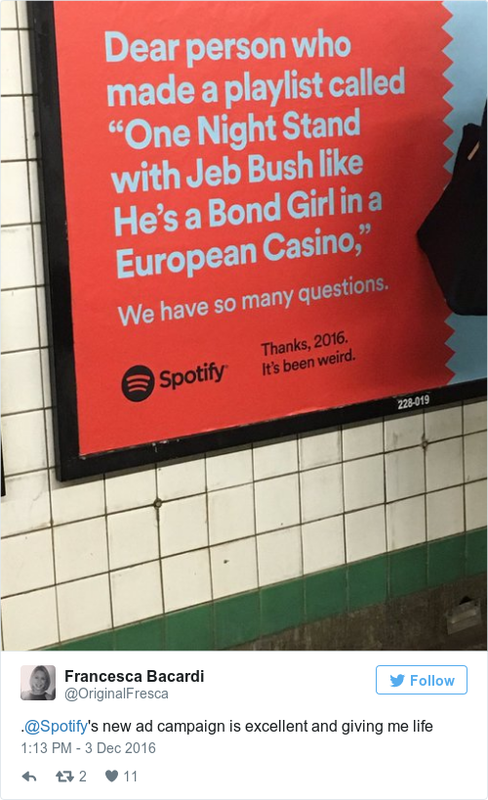 Through lot’s of extensive market research (probably), Spotify have realised it’s an Ad eat Ad world out there and to stand out from the crowd you have to be bold & use every tool in your creative arsenal. After all, being given insight into other people’s lives has always been entertaining and that’s exactly what Spotify have managed to capture without straying from their brand. It doesn’t stop there either as they’ve expanded on the campaign with the release of three videos across social media. Each video features a different artist’s reaction to the inclusion of their songs in some rather strangely named playlists. The pick of the bunch has to be the inclusion of a song by Joe Jonas called ‘Body Moves’ in a playlist named ‘play this at my funeral’, (a bit creepy if you ask me). Without a doubt this marketing campaign has been a massive hit. It’s been praised all over social media, revealing to the world that Spotify are a brand that pay attention to it’s users, something that is invaluable to a brand such as theirs. If you’re impressed by this quirky campaign & would like to produce something similar by better use of your data, you know what to do.